Local Outreach at CSP can best be described as an outpouring of God's love. Looking outwardly and sharing blessings is part of the natural flow at CSP - we don't wait to be asked; we look for ways to serve our neighbors and our community. Some of our parishioners volunteer to drive for Meals on Wheels helping to provide a hot meal every day for home bound people in our community. CSP Hosts youth mission groups in the summer who come to work on homes in the community through Rural Missions. Constructed a new roof for a CSP family. The previous roof had many leaks, rotten wood, and missing shingles. The youth of CSP began the project as a local summer mission and completed much of the backbreaking work. The men of the parish came together to complete the project on a Saturday Action Day. Adopted a Special Education Class, for the second year in a row, in a local school by collecting school supplies and funds for "transitional trips." According to their teacher, the trips provide a much-needed "real world" experience for the 60 Special Ed students. Served a Thanksgiving Dinner to the local Hollywood community in the Hollywood Town Center where a traditional hot meal was cooked by parishioners and Goodie Bags were given to all of the children present. Provided support for a local restaurant owner who had been robbed. In addition to helping with medical care transportation, CSP participated in a community-wide fund raising campaign for the family. Once the owner recovered and could reopen the restaurant, the people of CSP have continued to frequent the restaurant as well as pray for the family. Hosted a Women's Conference "The Journey of Spirit and Truth." 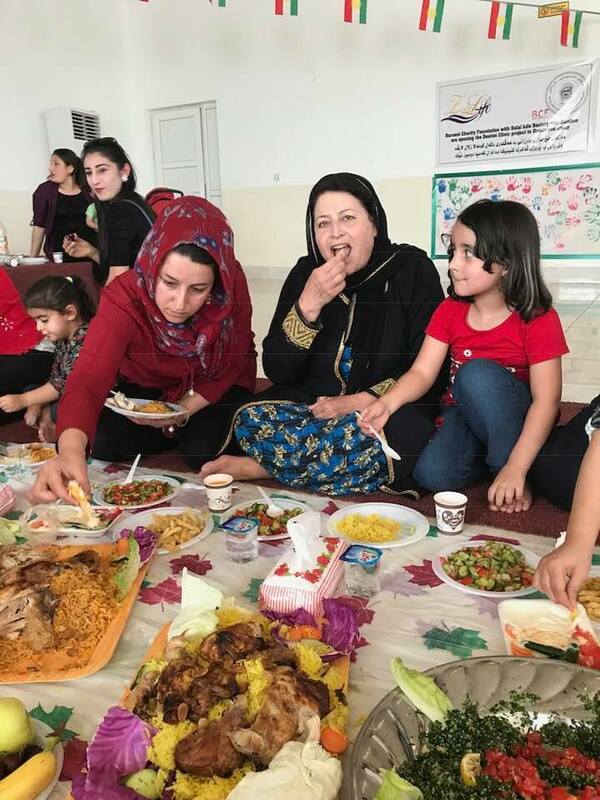 Women from CSP, surrounding churches and the local community gathered at the CSP Ministry Center over two days to share, sing, pray and "Learn to Hear God's Voice." Replaced the windows in a local man's home. All of the windows in the home had been broken out by vandals; and the man had lived in his dark, boarded-up home for six months. When the work was completed, he exclaimed that the Outreach Committee had "brought light" back into his home. Christ-St. Paul's Global Missions is an ongoing effort to reach out all over the world to share God’s love. We believe the only way to stop the spread of evil and darkness in the world is to shine God's light in faraway places. 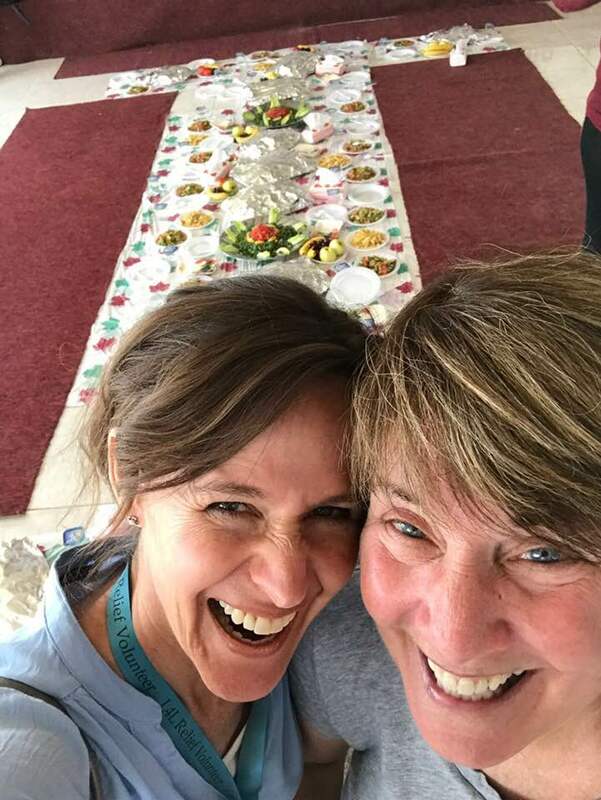 Currently, we are caring for refugees in Iraq, supporting a priest working for peace in South Sudan, building a computer center at a school for orphans left by Boko Haran in Nigeria. In all, we are working faithfully to spread God’s love, power, light and hope! 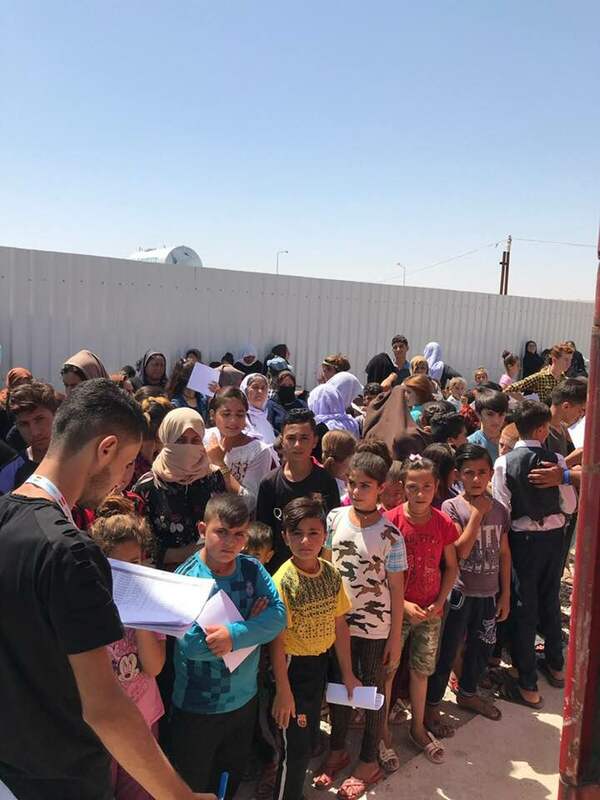 In June of 2018, 3 members of the CSP family traveled once again to Iraq where they along with their friends at Love for the Least are providing medical screening to orphans. They are also celebrating the hard work and success of the Threads of Blessings program. Some of the Threads of Blessings embroidered tapestries will be returning to the US with the team and be available for purchase. The tapestries are truly a labor a love with all proceeds returning to the women on Threads of Blessings and used to support their families in the refugee camp. In May of 2018, 7 members of the CSP family returned to Nigeria, where they were able to complete a new computer lab for the children of Zambiri. Solar panels were installed to provide electricity, the building was painted a welcoming orange, and desks were made to house the donated computers. 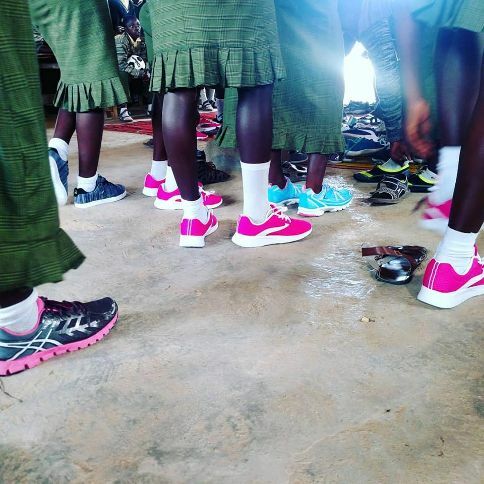 New shoes were also sent for each child at the Zambiri school, which were a much welcomed surprise. The team also had the pleasure and honor of being present when Bishop Kwashi dedicated the computer lab to The Glory of God and in the name of Christ-St. Paul's Parish. The team hopes to make one final trip to Nigeria to hook up the computers for the children. Team Nigeria’s Leslie Herman’s reflection on the May 2018 mission trip to Nigeria was featured in the diocesan newspaper, The Jubilate Deo. Constructed a new computer lab for the children of Zambiri, a school in Nigeria. 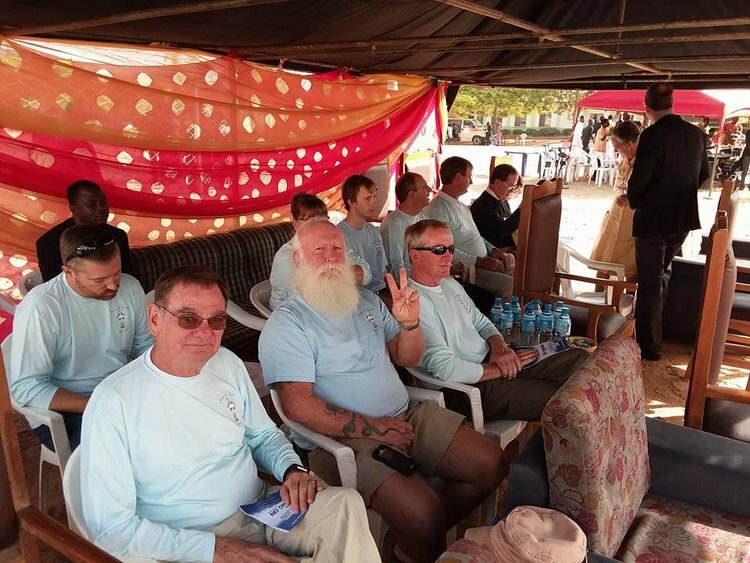 Team Nigeria consisted of twelve members of the CSP family who traveled to Jos, Nigeria in November 2017. 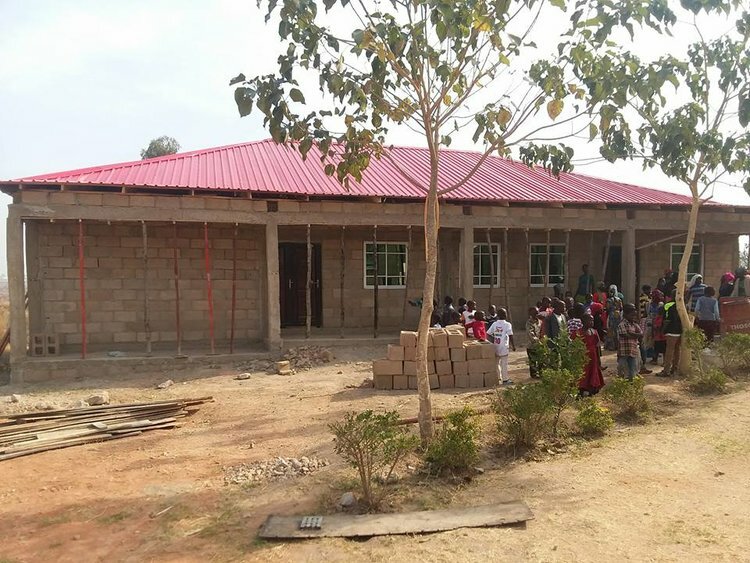 There, they worked along side of out Nigerian brothers and sisters in building a computer lab to house over 20 donated laptops. 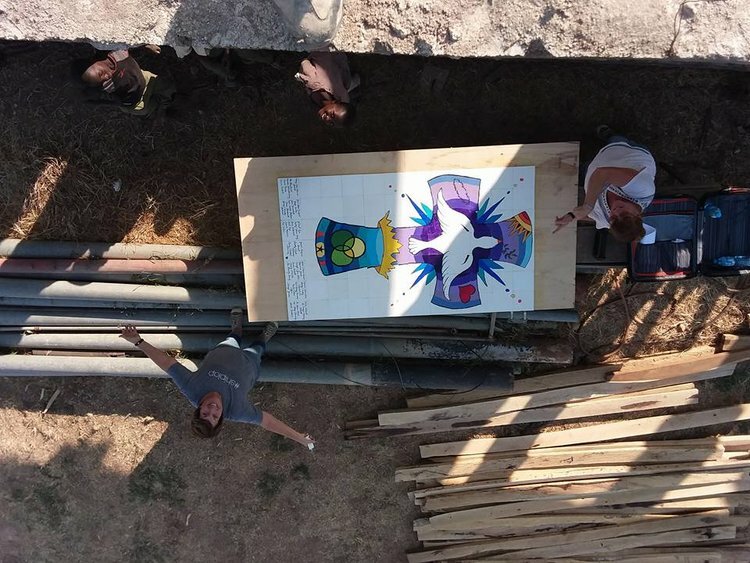 The CSP family painted a tile mural that was taken to Nigeria and was installed into the wall of the computer lab. 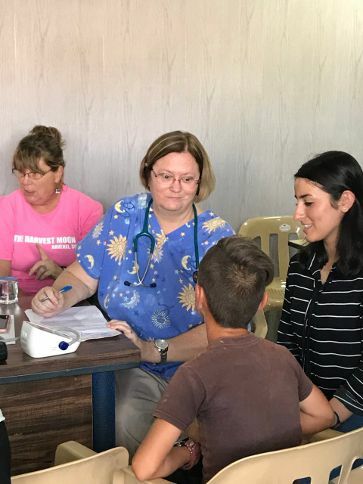 A spring 2017 medical mission trip to Iraq. Five members of the CSP family traveled to Iraq to serve with Love for the Least.